Pure and undefiled religion before God and the Father is this: to visit orphans and widows in their trouble, and to keep oneself unspotted from the world – James 1:27, NKJV. Our mission is to reach out to the abandoned and destitute children, sharing with them the everlasting Gospel of Jesus Christ. With this in mind, we provide an ongoing mission to support their needs by providing food, clothing, shelter, education, medical care (agricultural program in the future) and, most of all, helping them find a friend in Jesus Christ. We believe that by doing all of these things we are showing them the true love of Christ. 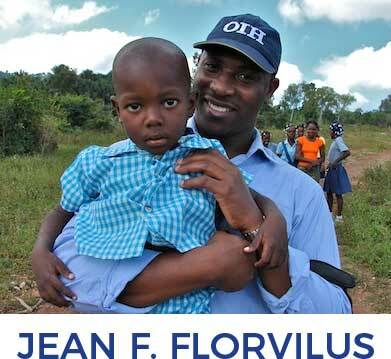 Currently, OIH is operating in Bombardopolis, Haiti, where we are also making a difference to the nearby communities. Welcome to the Orphans International Helpline website. This dynamic site will help you discover the treasure of our work with the orphans around the world. We want to share our mission with you. OIH has dedicated itself to care for the needy and to come to the aid of those suffering from starvation. Our main calling from God is found in Isaiah 58:10-11, where it says, “If you extend your soul to the hungry and satisfy the afflicted soul, then your light shall dawn in the darkness, and your darkness shall be as the noonday. The Lord will guide you continually, and satisfy your soul in drought, and strengthen your bones; you shall be like a watered garden, and like a spring of water, whose waters do not fall.” In response to this calling, OIH provides the word of God, food, clothing, shelter, educational and medical programs to thousands of orphans in underdeveloped areas of the world, beginning with Haiti. “For I was hungry and you gave Me food; I was thirsty and you gave Me drink; I was a stranger and you took Me in; I was naked and you clothed Me; I was sick and you visited Me; I was in prison and you came to Me.” (Matthew 25:35-36, NIV). The lives of Jean Florvilus and Brian Ladiny were changed forever in 2003. Joining a missionary trip to Haiti, they were shocked at the poverty they witnessed and the influence of evil practices in the form of voodoo. Many of the children they encountered were abandoned either due to the death of their parents or the inability of their parents to care for them due to poverty. Five-and six-year-old children were left to their own resources to find food for their meager existence. 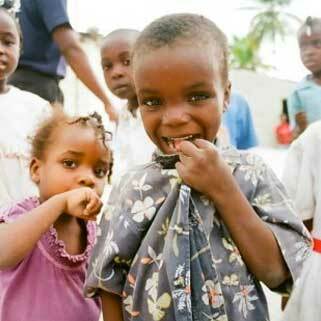 Statistics indicate that 50% of the children in Haiti die before the age of five because food is scarce and diseases run rampant among children. Upon returning to the States after the 2003 mission trip, Jean and Brian fasted and prayed for God to show them how they could help these children. It was not very long before their prayers were answered in the form of some people who had been touched by their story. While studying at Andrews University, at the end of each semester they combined what little money they had left and sent it to Haiti to feed five children in Bombardopolis. Jean and Brian shared their vision with their professors, classmates and friends and in return also contributed to Jean and Brian’s feeding program. 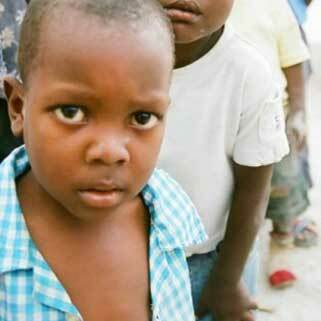 By the end of 2004, this program had increased to feeding 213 starving children once a day. 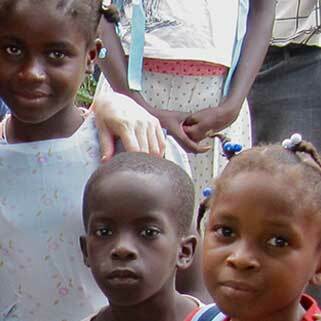 Presently, the ministry is the sole support for more than 275 Haitian orphans in Bombardopolis, Haiti. 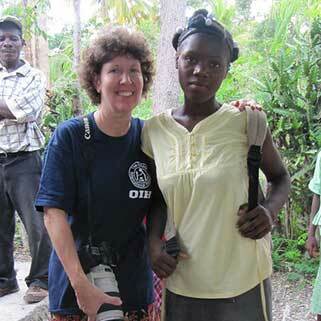 OIH provides 3 meals daily, medical care, clothing, education and a safe place to call home to these children. In addition, approximately 100 village children (non-sponsored) are fed once a day at the center. This number vary from day to day depending on the weather as most of these children travel far by foot to reach the OIH center. Most importantly, all of these children are taught about the love of Christ. During the summer, OIH holds Vacation Bible School (VBS) and offers it to all the children, sponsored and non-sponsored, in the community. The mission of Orphans International Helpline is to plant a seed of hope in the hearts of these abandoned children, sharing with them the everlasting Gospel of Jesus Christ. OIH is a member of Adventist-laymen’s Services and Industries.